Terminal 2. Above Gate 27. 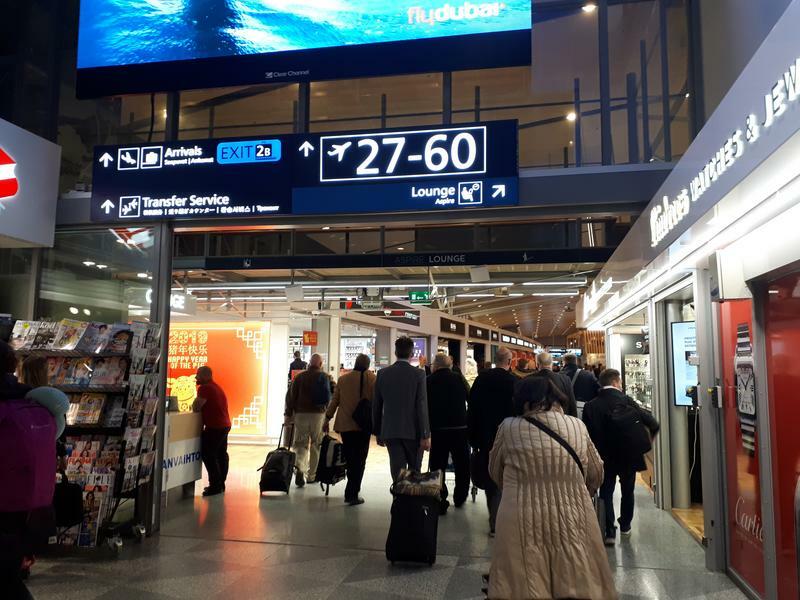 Finnair operates flights on behalf of AF on the HEL-CDG route. 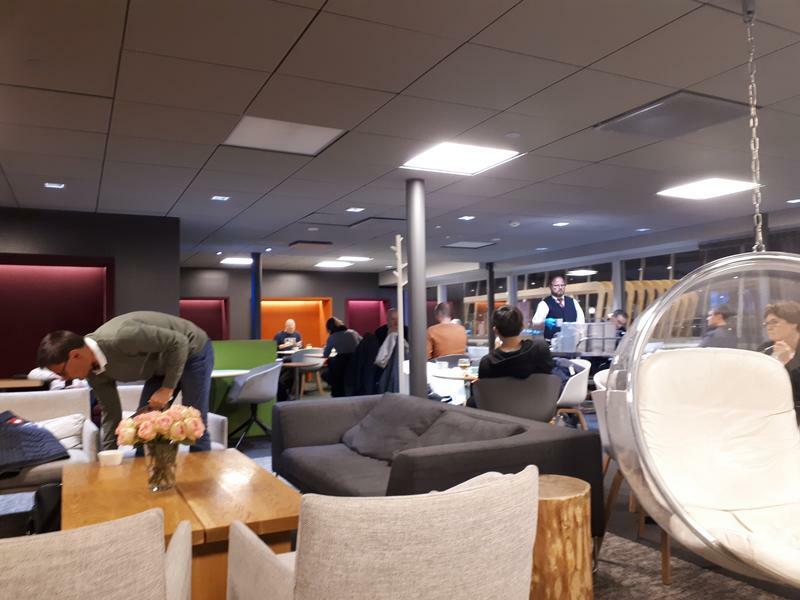 With a business class ticket or elite status you can access the Aspire lounge (you can't access the Finnair lounge - I tried, but I do have to say I don't hold any OW status so it can be different if you have). Even though an invitation to the lounge is printed on your boarding pass stating access is only for 1 person, you can guest a person if flying on AF or KL. The male lounge dragon with whom I chatted even said you can guest a person "flying on any other airline" - but I doubt that is true. 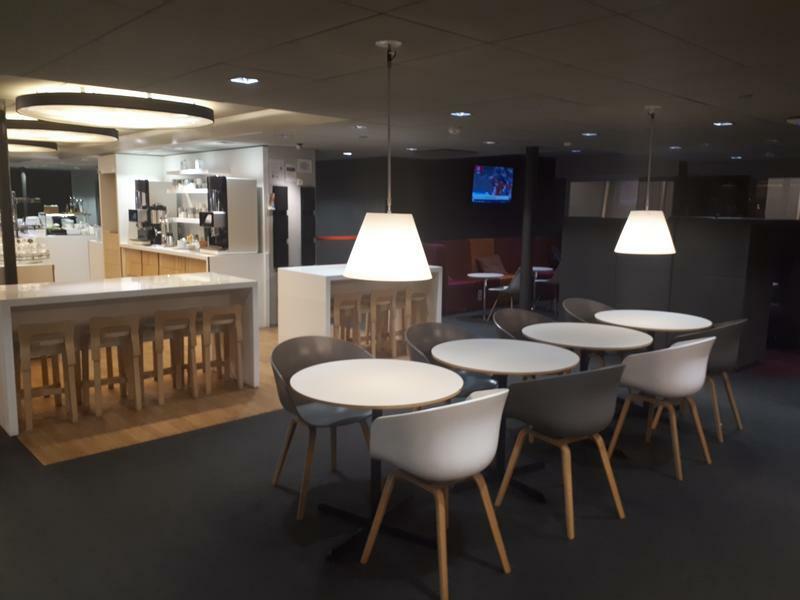 The lounge however doubles as a Priority Pass lounge and is probably the lounge for quite some other airlines as well. Self service buffet. 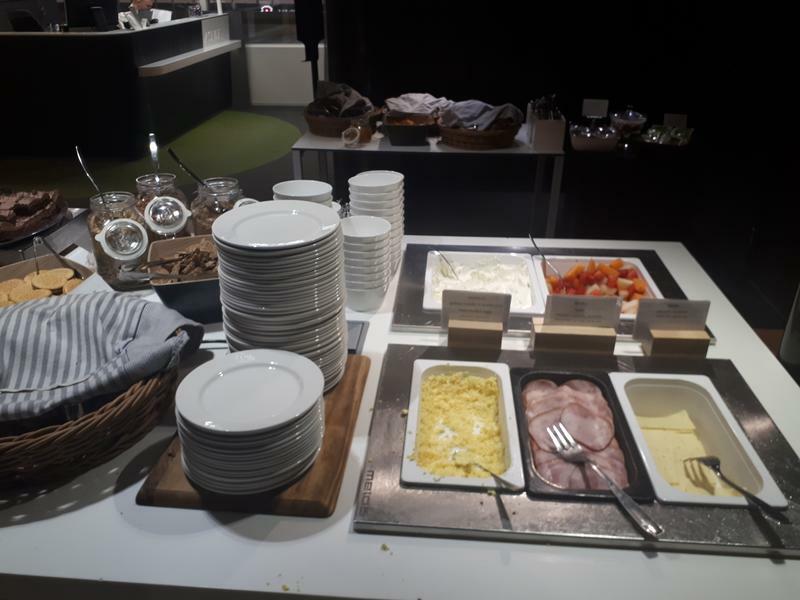 Was there during breakfast and mostly just cold cuts, bread/pastries, salad only. 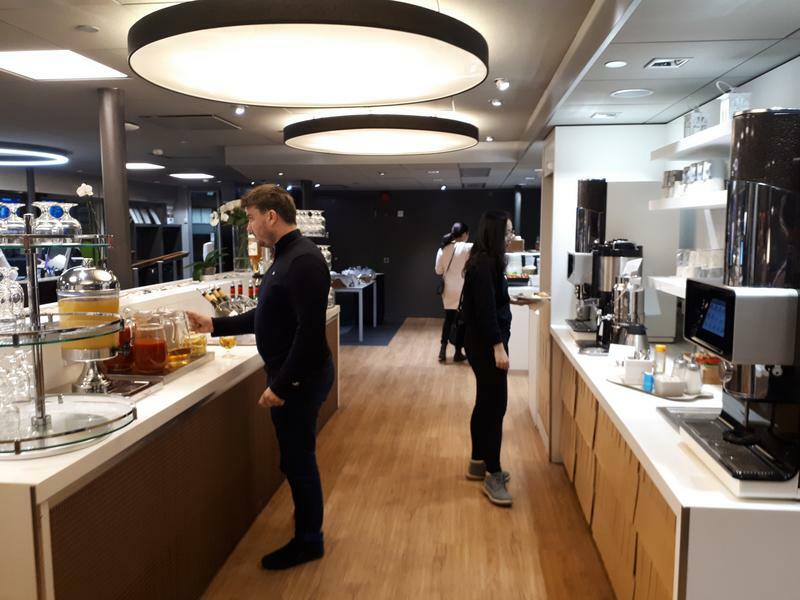 Have breakfast in your hotel if you can (for airport hotels I can recommend the Scandic hotel, although Hilton has an on-site hotel too). Wifi: No separate lounge wifi - although airport wifi worked like a charm and was fast. Number of seats: 70 - 120? Design: Design-wise quite nice, with some swinging chairs, fake fire place feature thingie, different kinds of seating etc. View: Yes, although no tarmac view (terminal view and perhaps parking lot from other side of lounge, although not sure). Nice lounge to get some work done/sit in quietness, take a shower, or have a coffee or quick drink. Otherwise nothing too much to get excited about. Typing this as we speak from the Air France lounge at the L gates of 2E while I sip some champers after a rejuvenating Clarins massage - what a world apart!